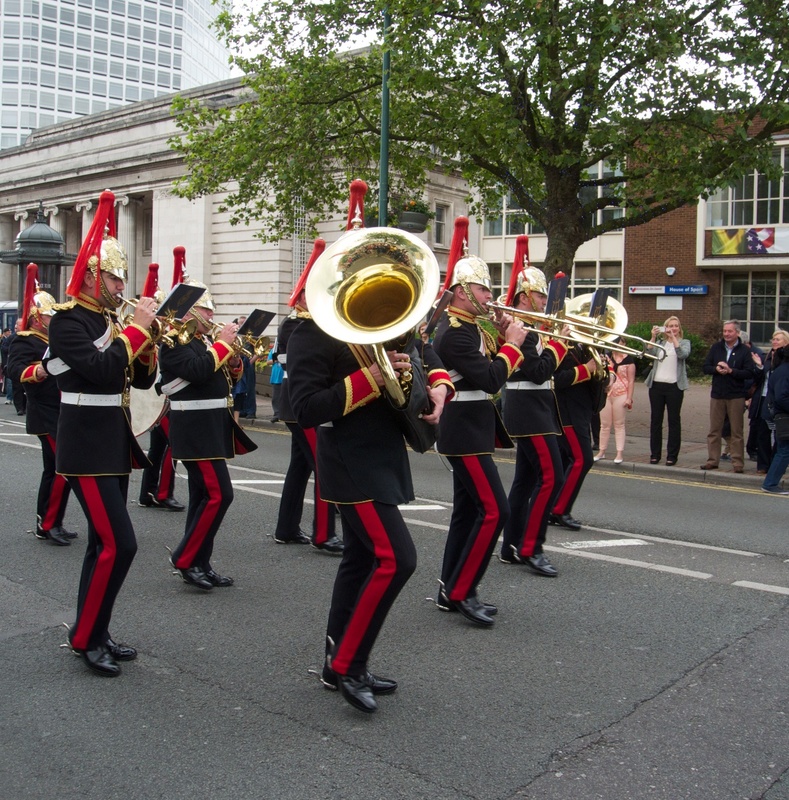 I happened to be in Birmingham today, which was Armed Forces Day. 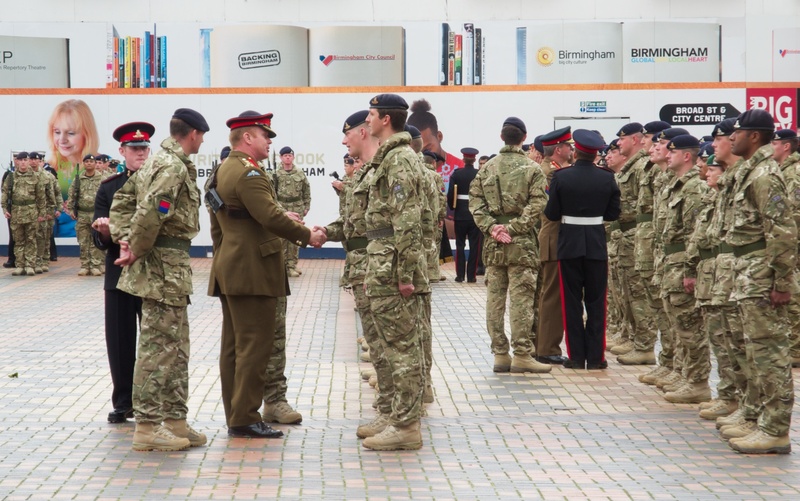 There was a parade in the city centre where members of the 26th Regiment, Royal Artillery were being presented with their Service Medals, having just returned from Afghanistan. There was a big crowd out to support them, even though the weather was pretty shocking. It is extraordinary the extent to which attitudes have changed towards the Armed Forces since my youth. Those days the prevailing sentiments were, frankly, a mixture of apathy and disinterest, perhaps reflecting our childhoods in the 1960s. Nowadays, the Armed Forces are the centre of enormous interest and pride. There is much that is good about this and it reflects of course the reality that our Armed Forces have been on combat operations continuously for more than ten years now; a far longer period of continuous operations than WWII. The only risk with all this is that it turns into blind and unquestioning support for ‘our boys’, which refuses to acknowledge that mistakes are made – strategy and tactics – and that there can always be room for improvement. Any activity, including the military, benefits from constructive criticism but we have a climate today where any such criticism risks being misunderstood. 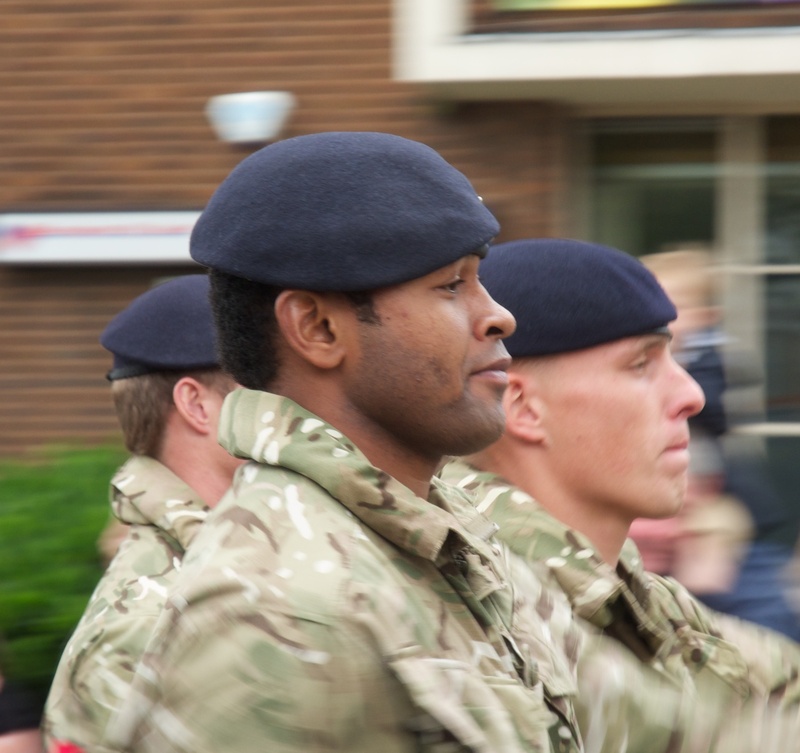 Posted in England, Photography, Politics and tagged 26th Regiment, Armed Forces Day, Birmingham, photography, Royal Artillery. Bookmark the permalink.